It’s in our food, our water, our air, soil and our own bodies. It’s the most widely used herbicide in all of human history, and while farmers and homeowners alike use it regularly, this pesticide carries an array of dangers the corporations that profit from it don’t want you to know about. 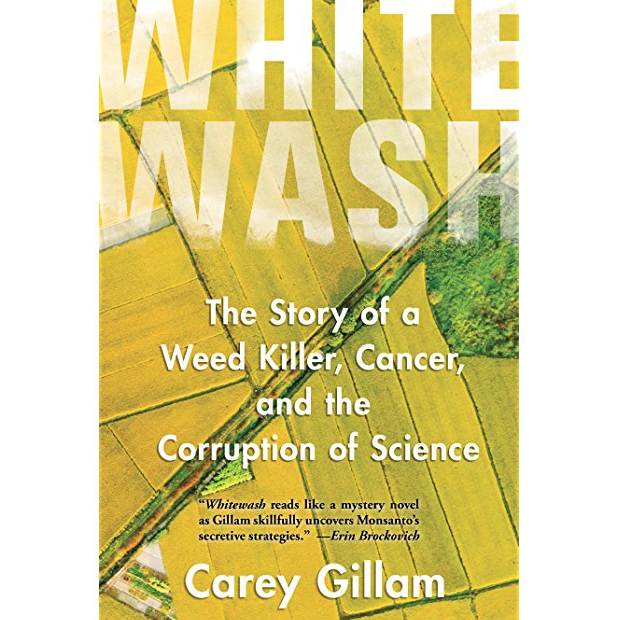 This week on Eat Your Words, Cathy chats with Carey Gilliam, author of Whitewash: the Story of a Weed killer, Cancer & Corruption of Science. The book discusses the use of Monsanto’s glyphosate herbicide, known commonly by consumers as Roundup. Whitewash contains many revelations not only about how pervasive this and other pesticides are now in our food production system, but how hard corporate entities like Monsanto have worked to conceal the truth.